If there is a statistical correlation between dirty oil and dirty politics, we have yet to fully quantify it – but you can add this to the growing pile of anecdotal evidence that the dirtiest political players are responsible for some of the dirtiest energy on the planet. William Koch – the “other” Koch brother along with David and Charles – was recently sued by a former senior executive at his Oxbow Carbon & Minerals Inc. for false imprisonment. The allegations are that Koch lured the former executive to his Colorado ranch and then held him against his will to intimidate him. The executive was allegedly being pressured not to go public with concerns over an illegal tax avoidance scheme being pursued by Oxbow. Of course, Koch denies that such an event took place and, rather, claims that the lawsuit is intended to draw attention away from another scandal at the corporation involving the executive in question. Koch claims that the executive was part of a scheme to defraud Oxbow, by taking bribes from competitors and participating in various other unsavory business practices. So let’s get this straight: Either William Koch held an executive hostage in order to intimidate him from exposing an illegal tax scheme…OR…a substantial number of Oxbow executives were taking bribes and colluding with competitors. Or, perhaps both stories are true. Either way, there’s some shady business going on at Oxbow. Now, other than being shady, what kind of business is Oxbow in, you might ask? Well, it’s about as dirty as it gets. Oxbow hails itself as “the largest distributor of petroleum coke in the world with annual shipments of nearly 11 million tons.” What is this petroleum coke (or “petcoke”) that Oxbow is distributing all around the world? 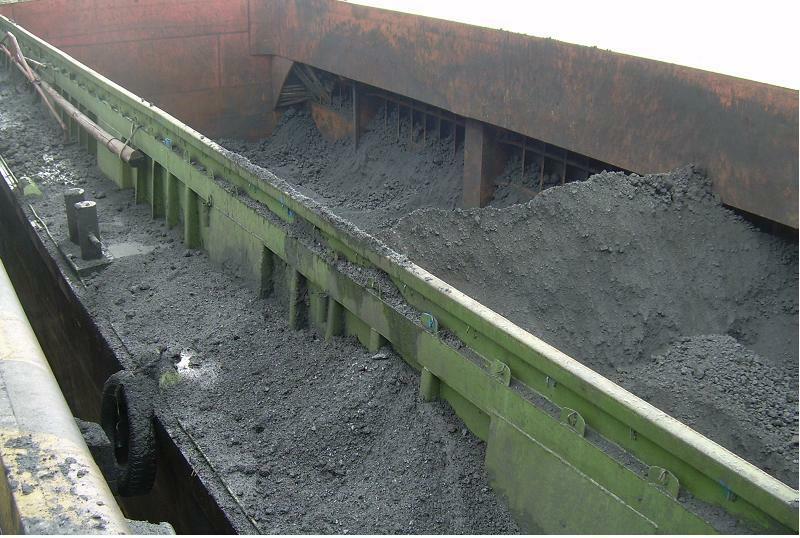 Petcoke is a byproduct produced through the oil refining process that is coal-like in composition, yet dirtier and more carbon heavy than coal. In other words, when you refine really dirty oil such as tar sands oil (aka bitumen), what’s left over is petcoke. And it’s extremely dirty. As the tar sands industry in Alberta, Canada has heated up in recent years, many citizens, communities, and advocacy groups have raised strong concerns about the intensive nature of its extraction and the dirty oil that comes from the tar sands. Tar sands extraction is destroying huge swaths of pristine and sacred land, and the oil that is produced from the tar sands is as dirty as it gets. Meanwhile communities in both Canada and the United States are standing up to try to stop the transport of dirty tar sands oil through their backyards and waterways. But that’s actually only part of the tar sands story – with tar sands oil also comes petcoke, and this stuff is ugly. When it is burned in power plants or factories, it emits 38% more carbon by weight than conventional coal and significantly more toxic pollutants as well. Essentially, wherever petcoke is used as fuel it generally is making a dirty process even dirtier. And Oxbow makes its millions in moving this dirty fuel around the world. Aside from dealing in dirty fuels, Oxbow also deals in dirty politics as well. According to the Center for Responsive Politics, Oxbow and its executives have contributed over $3 million this election season – the second most of any energy company, more than $1 million more than even Exxon. Add that to the $1.6 million in lobbying this Congress, and Oxbow is clearly one of the Beltway heavyweights buying votes and favors left and right. While David and Charles Koch have received much of the notoriety in recent years due to their overt attempts at co-opting our democratic process, the other brother, William, is no saint either. For years, he’s been standing in the way of progress up in Massachusetts as one of the key financiers of anti-Cape Wind efforts, to the tune of several million dollars. It’s no surprise, really, given his stake in dirty energy. So, what does this all come down to? Unfortunately it’s the much of the same old story that we’ve seen time and again in the fossil fuel business. We see a picture of a corporation that is profiting from both the destruction of the planet and also our political system. The product it sells is the dirtiest of the dirty; its business practices are unsavory at best, dangerous and illegal at worst; and they use their money to buy politicians to allow them keep making obscene profits doing all of the above. It’s time for a cleaner future – one that takes us off of these dirty fuels and separates dirty energy money from our politics.